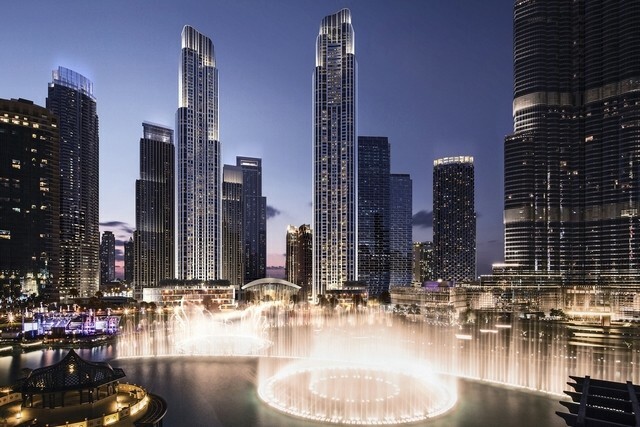 Emaar Properties has begun selling new “lateral” apartments taking up either half or a whole floor of a new 77-storey tower at the Opera District in Downtown Dubai. The Il Primo apartments have gone on sale at a marketing suite within the famous Harrods Department store in London, with the smallest units of around 4,979 sq ft being sold for £3.5 million (Dh17m) each. The tower will have 119 apartments in total, and the biggest will be up to 10,842 sq ft in size, with a balcony terrace of 708 sq ft. The smaller, 4,979 sq ft properties will have 279 sq ft balconies. The Il Primo Tower will also have a podium containing amenities including a gym, cigar lounge, a library, cinema and spa. Apartments will have full-height glazing offering views of the new Opera House, Burj Khalifa and Downtown Dubai.